Hello! I hope you all had a wonderful Valentine's Day! My hubby spoiled me with some flowers, chocolate, a gift card to a spa, and he made me dinner! He is such a wonderful man!!! So what did you think about the Bachelor last night? Michelle is GONE!!! YAY! Now I just want him to fall madly in love with Emily and her daughter:) I can't wait for home town dates! Thank you so much for stopping by and have a wonderful Tuesday! These are really cute Kerri. I bet the boys loved them. Lovely colous. You make the best bookmarks! Hubby got me a mushy card that I adore and took me and the girls out to dinner and he got me a body pillow. I gave him a wrapped candy bar and that's it! LOL I stunk at V day this year! I am soooo glad that Michelle is gone! I actually cheered! LOL Fingers crossed that all goes well and Emily is the one! 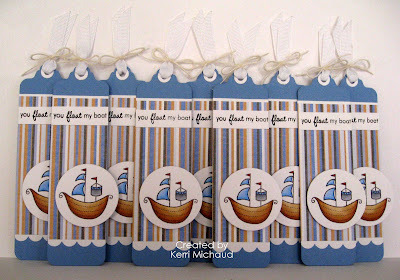 These are soooo fun and FANTASTIC Kerri!!! I bet the kids just LOVED them!!! AWWW what a super duper hubby gf and you sooo deserve it!!!! You won't believe this but I don't watch the bachelor..LOL but if Michelle is gone and you are happy woohoo!!!! Hugs GF have a great day! 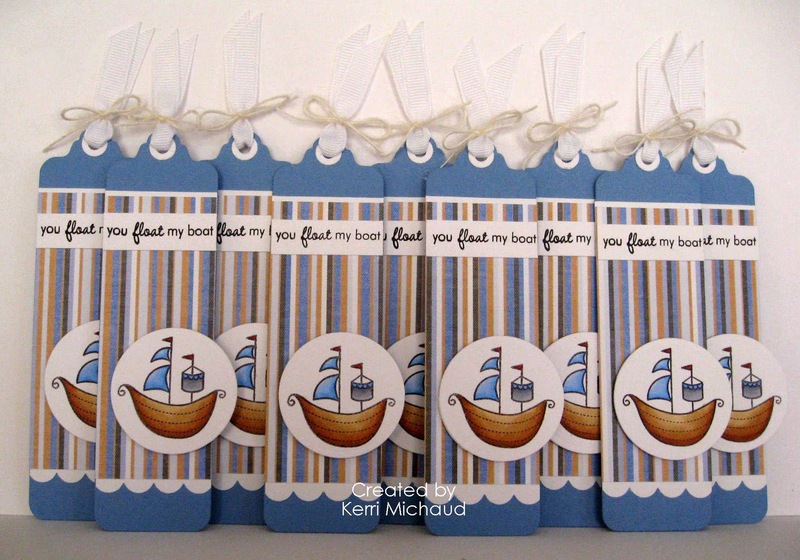 Kerri these are great bookmarks! Acckk!! Again!! You make the most adorable stuff!! I love these. You are a very good Mom, Kerri! The best bookmarks I can find in our blogland are at your blog! I bet Avery's cards were the favorites! These are really cute! These are so fantastic! You made me buy that die and I STILL haven't used it...how pathetic!